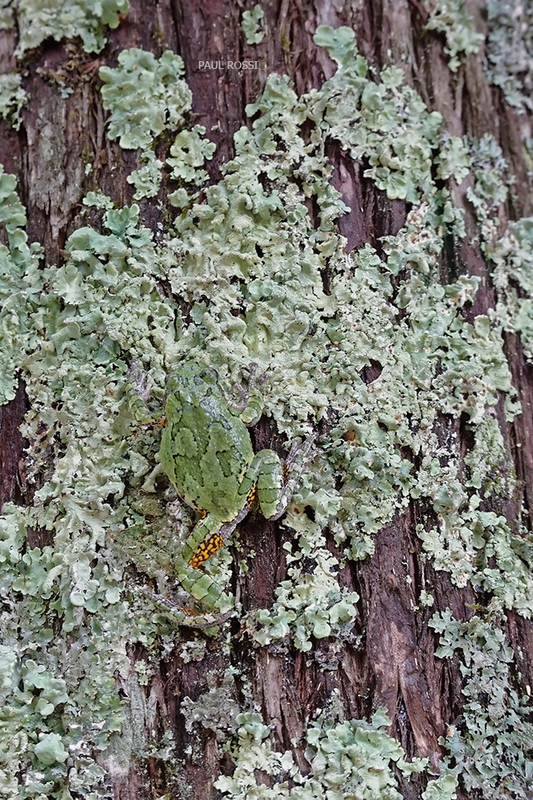 A wonderful example of camouflage in nature, so long as you don't show your underside. I didn't see the frog at first looking at the thumbnail. Great find. Without the bit of yellow I may not have seen it. Fine image and camouflage illustration. Amazing camouflage! Good eye in seeing this.